The CoffeeShop Blog: CoffeeShop "Diana" Digital Paper Pack! CoffeeShop "Diana" Digital Paper Pack! I have had so much fun this morning designing a completely new blog for a client. You can see my results so far at The Present Photography. I love website design! If you are interested in a new website or blog, my custom designs are on sale this month. 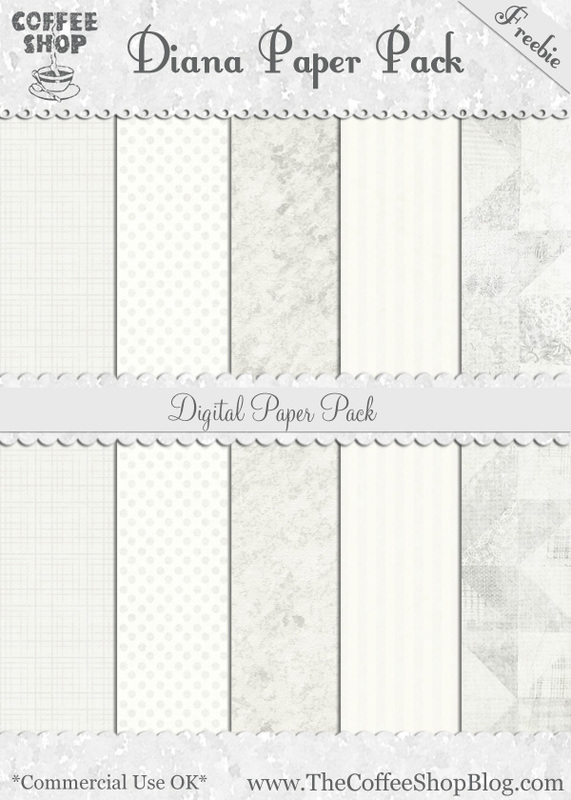 Today I have a new digital paper/texture pack called "Diana". Sometimes you need some neutral papers and I think this set is so pretty. The one on the far right I made from a quilt image. Oh, making these papers is so addictive! I have been busy and have so much coming out in the next weeks. New actions, presets, tutorials, and papers galore. I love when I have a creative streak! Download the free CoffeeShop "Diana" digital paper pack. You can also download it here. These are wonderful. Thank you for sharing! Thank you so much for this freebie! I love neutral paper like this - perfect!